Messages From The Wilderness Installation At Lumiere Gallery, Atlanta, Georgia, Copyright 2011 by Tony Casadonte. 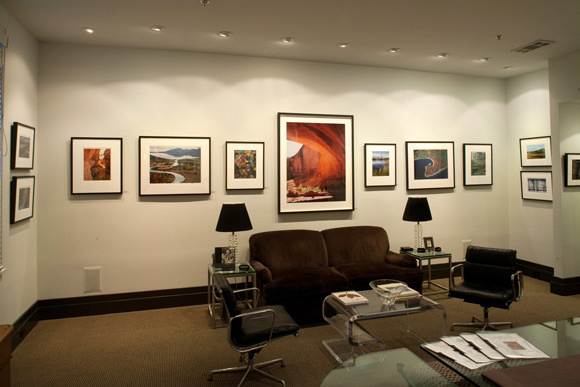 Note the 32X40 archival digital print of Philip Hyde's "Great Overhang, Moqui Canyon, Glen Canyon, 1964" in the center flanked by 11X14 digital prints of "Virginia Creeper, Northern Sierra Nevada, California" and "Mt. Denali, Reflection Pond, Denali National Park, Alaska." Two Robert Glen Ketchum prints outside of that between the Philip Hyde prints with Philip Hyde's "Cathedral In The Desert, Glen Canyon, Utah" and "Dogwood, Sequoia National Park, California," on the outside far ends of the main wall. Other areas of the show feature Philip Hyde's hand made vintage black and white prints of Glen Canyon, Grand Canyon National Park, Canyonlands National Park and others. See the Lumiere Gallery website for a new video featuring David Leland Hyde talking about his father and the birth of modern environmentalism. 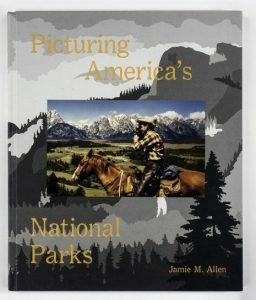 This exhibition features works deploying the visual power of photography to communicate and understand an appreciation of the great American Wilderness. These photographers have captured the beauty and form of nature using straight photography, documentary, pictorialism, abstraction and unusual lighting effect to communicate a story or to stimulate the viewer’s innate imagination. The work involved often has provided the foundation for major conservation campaigns. The show includes photography by: Philip Hyde, Ansel Adams, Edna Bullock, Peter Essick, Robert Glenn Ketchum, Tom Murphy, Bradford Washburn, Edward Weston and Brett Weston.